He graduated with honors from West Point earning the Royal Society of Arts Award for the most outstanding overall cadet in his class. Following graduation, he was commissioned in the US Army Corps of Engineers where he served with distinction in various command and staff positions for over 22 years, earning the rank of Colonel before retiring in 2002. He has led soldiers in combat. Among his military decorations are the Legion of Merit, Bronze Star, Purple Heart, and Master Parachutist badge. He has an MBA from the Harvard Business School, where he graduated with High Distinction as a Baker Scholar. Dr. Snook earned his Ph.D. from Harvard University in Organizational Behavior winning the Sage-Louis Pondy Best Dissertation Award from the Academy of Management for his study of the Friendly Fire Shootdown in Northern Iraq. Until July of 2002, Colonel Snook served as an Academy Professor in the Behavioral Sciences and Leadership Department at the United States Military Academy. He also directed West Point’s Center for Leadership and Organizations Research as well as its joint Master’s Program in Leader Development. He was the primary author of West Point’s Cadet Leader Development System—the Academy’s philosophy on how to develop leaders of character for the Nation. Professor Snook’s book Friendly Fire was selected by the Academy of Management to receive the 2002 Terry Award as the most influential book on managerial thinking published during the past two years. He has also co-authored a book that explores the role of “common sense” in leadership titled, Practical Intelligence in Everyday Life (2000), and co-edited The Handbook for Teaching Leadership: Knowing, Doing, and Being in (2011). 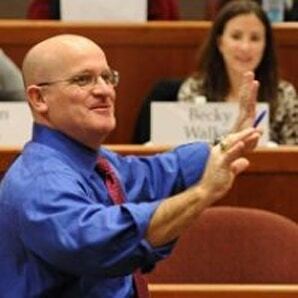 He most recently co-authored The Discover Your True North Fieldbook (2015), which is used in the second year elective course he teaches at HBS titled, “Authentic Leadership Development.” Professor Snook has shared his leadership insights in formal executive education programs at Harvard and with numerous corporate audiences around the world. Professor Snook’s research and consulting activities have been in the areas of leadership, leader development, change management, organizational systems and failure, and culture. He currently lives in Concord, Massachusetts with his wife Kathleen and their five children.